A predominant pathogen causing seedling disease in the north-central region of the U.S. is the oomycete Pythium. Pythium sylvaticum was the most frequently recovered Pythium species from diseased seedlings in recent surveys. Pythium can reduce crop stands by causing “damping-off” of developing seedlings. Symptoms on affected seedlings may include general discoloration, yellow to brown lesions, root rot and seed rot. A higher occurrence of damping-off caused by Pythium is often associated with cold and wet soils. Low soil temperatures at planting keep seedlings at a germination stage at which they are susceptible to infection by soilborne pathogens for a longer period of time. Previous research under controlled conditions has shown that soybean emergence was significantly reduced by Pythium when seeds were exposed to cold stress at planting. Our preliminary research suggested that periods of cold stress within 1 to 5 days after planting may reduce plant stand particularly when Pythium sylvaticum is present. Seed treatments are often recommended to protect against seedling disease, particularly under cool and wet conditions at planting. Seed treatments that contain the active ingredients metalaxyl or mefenoxam and, more recently, ethaboxam are recommended for control of oomycetes, including Pythium. 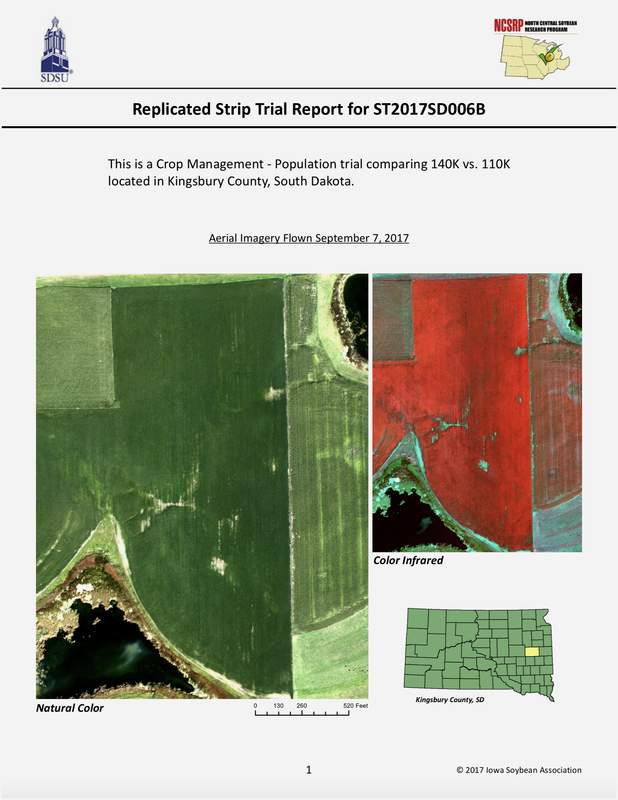 With checkoff funding provided by the Iowa Soybean Association and the North Central Soybean Research Program, we evaluated the efficacy of a commercial seed treatment on soybean emergence during various simulated cold stress conditions. In this study, we planted treated or untreated soybean seeds in soil with or without Pythium sylvaticum at an optimal soil temperature (18ºC/65 ºC). Two or four days after planting, we subjected the planted seeds to cold stress conditions similar to those that occur commonly during planting season. We measured the effect of the cold stress on emergence, severity of Pythium disease, and plant growth, and confirmed that emergence was significantly reduced when P. sylvaticum was present, compared to the non-inoculated controls. Cold stress alone did not affect emergence (Figure 1). The duration of the cold stress in the presence of the pathogen affected emergence more than the temperature or the timing at which the cold stress occurred. Our data suggest that 24 or more hours of cold stress is deleterious to emergence of soybean in presence of P. sylvaticum. Figure. 1. Percent emergence 21 days after planting for soybean seedlings planted at 64º F/18ºC and subjected to three periods of cold stress (24, 48 or 96 hours) one day (24 hours) or 4 days (96 hours) after planting. Different letters within the same panel indicate statistically significant differences. Emergence of the inoculated control at 64º F/18ºC was 75.0 ± 8.0 %. The seed treatment improved emergence under all cold stress conditions when the pathogen was present, compared to untreated seed (Figure 1). The seed treatment also reduced root rot severity and increased shoot weight of inoculated plants compared to the untreated control. However, there was no significant effect of seed treatment on root weight. We observed poor lateral root development in inoculated plants, probably due to infection by Pythium, even with the use of a seed treatment. In this study we confirmed previous reports that cold stress can increase the occurrence of seedling diseases and stand problems. Data from this study confirms that cold stress soon after planting can increase the risk of reduced crop stands in the north-central region, and suggests that seed treatments with metalaxyl and ethaboxam protect seedlings against Pythium infection when cold soil conditions occur soon after planting. Damping-off caused by Pythium sylvaticum on soybeans subjected to periods of cold stress is reduced by seed treatments. Canadian Journal of Plant Pathology, 2018 (abstract). 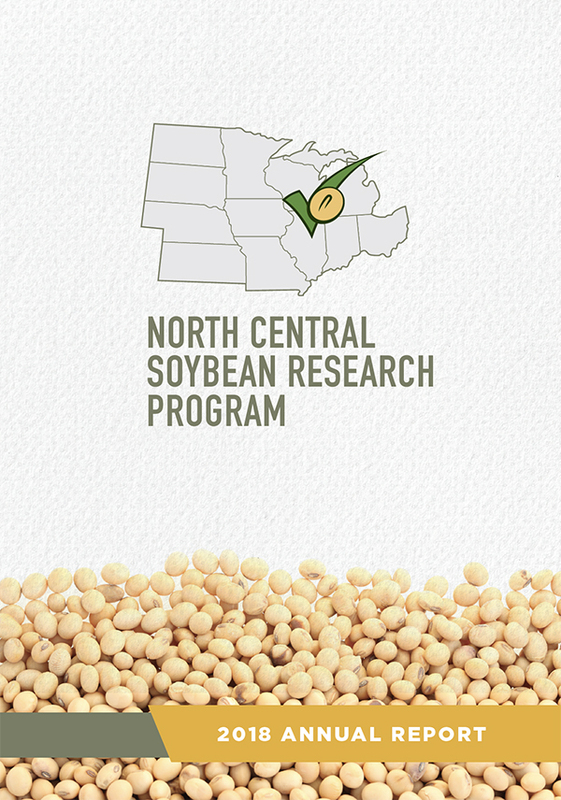 Factors to Consider Before Using a Soybean Seed Treatment. Crop Protection Network: CPN 4003, 2018.